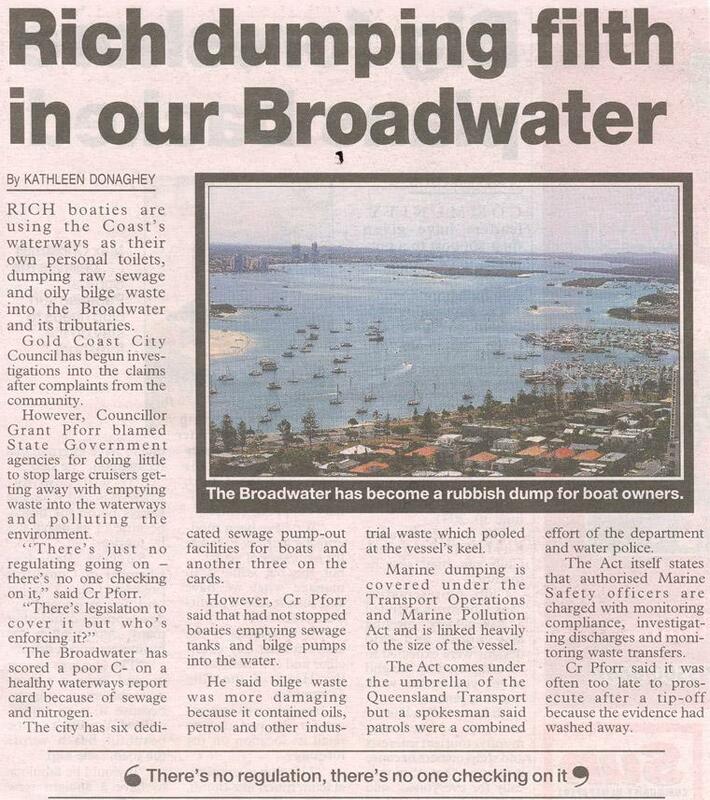 The Gold Coast Sun published an article by Kathleen Donaghey 11-11-09 about the Broadwater becoming a rubbish dump for boaties. "The Broadwater has scored a poor C- on a healthy waterways report card because of sewage and nitrogen." the report said. The average Spit may not be aware of this - but what is noticeable is the number of boats in the Broadwater. Many of these boats are owned by persons or companies not even living on the Gold Coast. On an interesting note the winner of the new inventors in 2009 designed a safety propeller that - "will not cut, injure or kill people or marine life".